Both of your bags are awesome! Love that ruffle! Wow - you have been very busy - I love your bags! great job. Super Darling Tam Bag:) YOU can sure sew Patti. It looks perfect! Oh they look good! And I love it in black with the ruffles, cute! Your Tammy bags are wonderful! Each is very unique. Thank you for sharing. Wow! I love all your Tammy bags! Beautiful! Love your bags, wonderful trimmings! Beautiful purses. 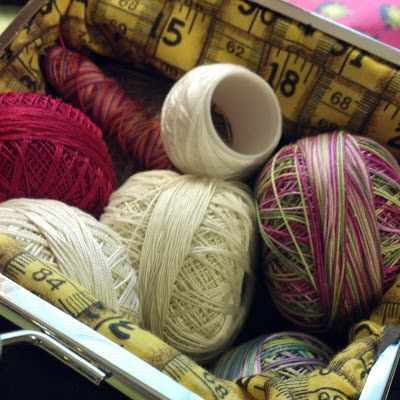 Love the idea of knitting and yarn. Think I need to make another one. Have a great hop. Oh, too cute ! Love the sewy fabrics ! That is a pretty awesome design for a bag. Your versions are great! Beautiful. The black one is classy! Thank you so much for sharing your wonderful bags with us. I really like the black with the measuring tape one....you did a wonderful job. Beautiful collection of bags! Your crochet bag is dressy enough to carry out for the evening. Thanks for sharing! I apologize on the name Patty. guess I was glancing ahead or something...sorry. I love the measuring tape trim!! Wow! Your bags are wonderful! Your ruffle has me smiling. Great bags. Congrats on placing today. I really love the bag! It is perfect as you say! What beautiful bags you have created. Love your fabric choices. Thank you for shareing them with us today. You made three of them! Wowie, Patty and each for a different hobby. The ruched type ruffle adds an interesting edging. THX for sharing all three versions! THe bags look great. 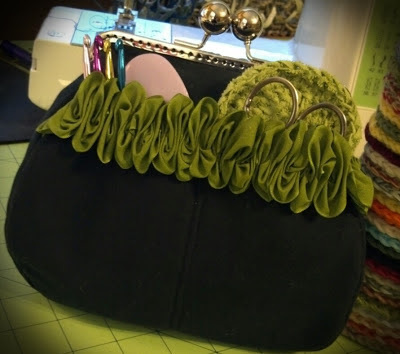 Love that green ruffle! What a beautiful way to carry your projects! Great job! Love your choice of fabrics and embellishments, too! Patty I love your bags and the fabric choices are great. That yellow tape measure trim and the green ruffle are perfect accents. Cute sewing fabric too. Great bags!!! 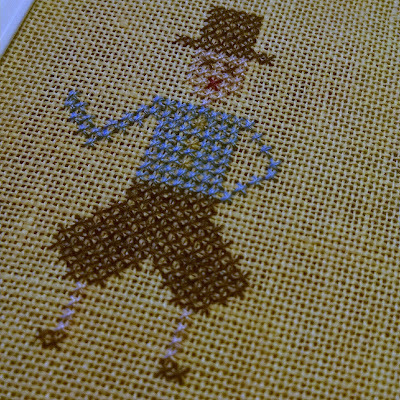 I love th fabric choices. You are certainly deserving of a top spot today. 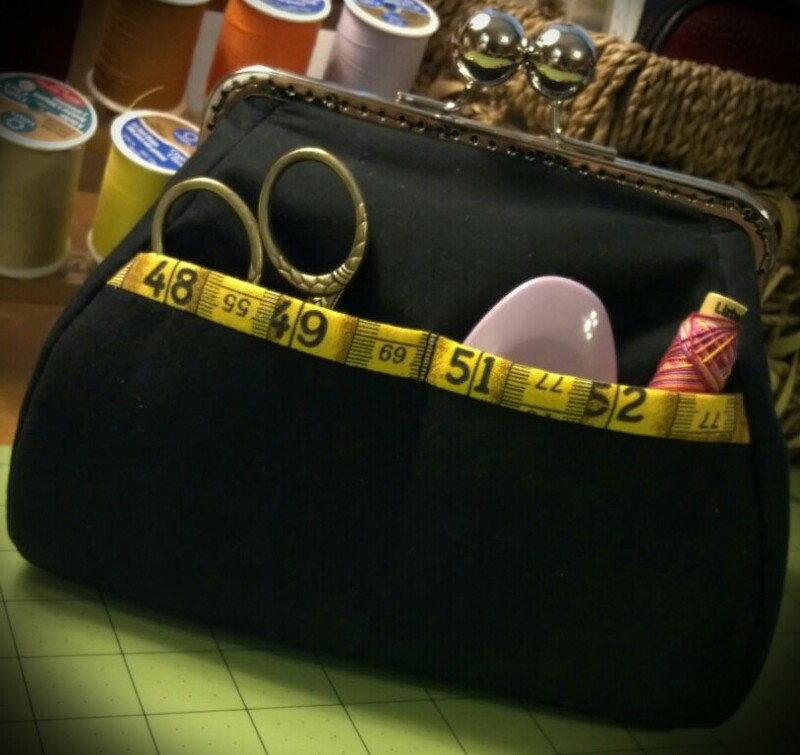 Love the ruler fabric with the black! That looks so cute! And I'm really loving the frames with the larger pearl clasps. SO many things you can put inside, love your bags and the ruffle. Your bags are wonderful. Congratulations for being in top 2. So cute. I love your bags, especially the sewing bag. And you can tat! I think that is a beautiful lost art. I've tried and lost my mind trying to understand the instructions. All of your bags a pretty. Too cute with that green ruffle...love it! That fabric with thread on it is perfect for this bag. Thanks for hopping with us! So cute. Love the measuring tape fabric. How perfect! Oh so very pretty and so classy. Love the ruffle! Congratulations on making top picks! I love your bags! They are just beautiful, like high fashion designer. Nice collection you have started here. The ruffle is just terrific. Thanks for sharing with us. You were a busy girl! I love how they are all different. Great job! I love each of your Tammy Bags, they are so pretty! 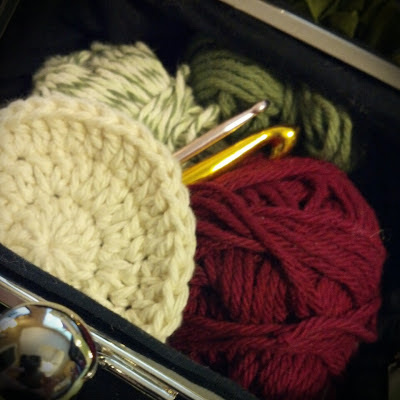 I really like the green ruched ribbon on the crochet bag! Nice work. Your bags are lovely! Thanks for sharing them. You make it look easy. These are really pretty. Neat fabric. Wonderful bags. I especially love the measure tape fabric. Congratulations on being one of the chosen. Wow! 3 Tammy bags! It is a great bag for those tale along projects. Nicely done! Both bags are fabulous ...I can't pick a favorite ! Wow your bags are awesome! AWESOME! Ooooh so. Pretty and I love the trim, thanks for sharing. Three bags! All quite pretty and whimsical. Love the green ruffle and also the tape measure fabric trim. Nicely done and fun to see! Very impressed with all of the bags! Congratulations on being a top pick of the day! Lovely bags and great attention to detail. Thanks for sharing. Simply beautiful! I think I may need to jump on the bandwagon and make a Tammy bag! great bags! love your fabric selections and that great lime green ruffle! Your bags are really lovely! The black one looks very classy! Your black Tammy is my favorite so far and well deserving of a top spot. 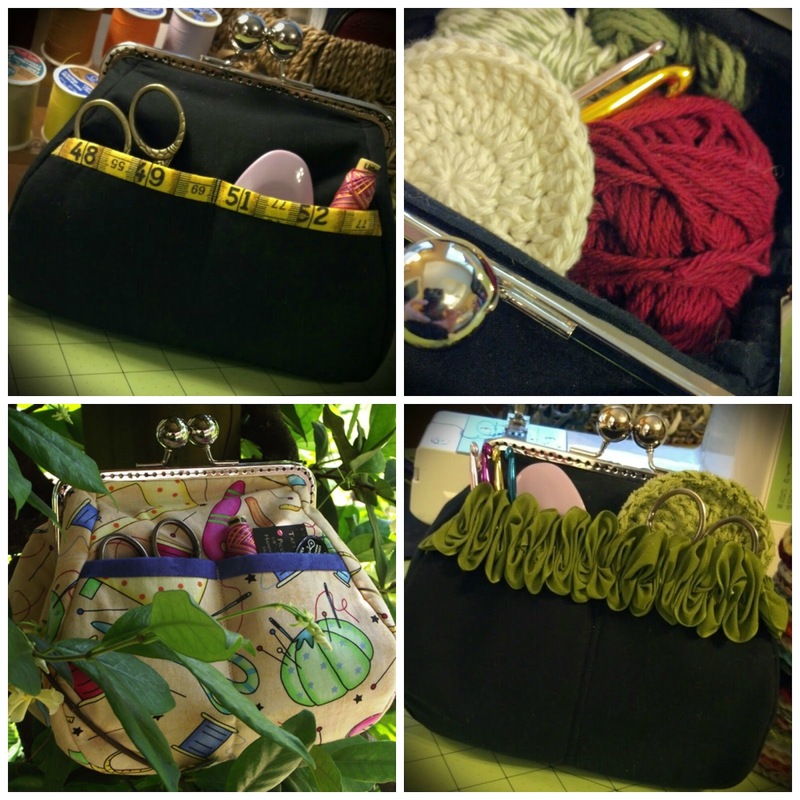 Wonderful Tammy bags, beautiful work! I love the frames ou used, the seems to be just the perfect size. Fabulous bags! The black with the green ruffle is stunning! Lovely. I can see why you keep making them. They turn out lovely and are so useful. Wonderful, wonderful bags!! You did marvelous! Loved that green ribbon - lovely touch. Wow, so beautiful and useful! Great idea!